Finally am completing some parts of my heart strings. 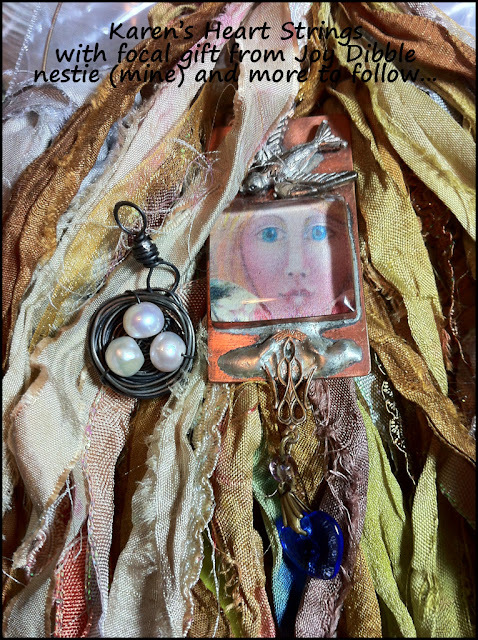 I have until the 24th to watch the videos; and, a new 2nd Session has begun at Artful Gatherings - you can check out the classes by following the link in my sidebar - "An Amazing Event, June 2012." 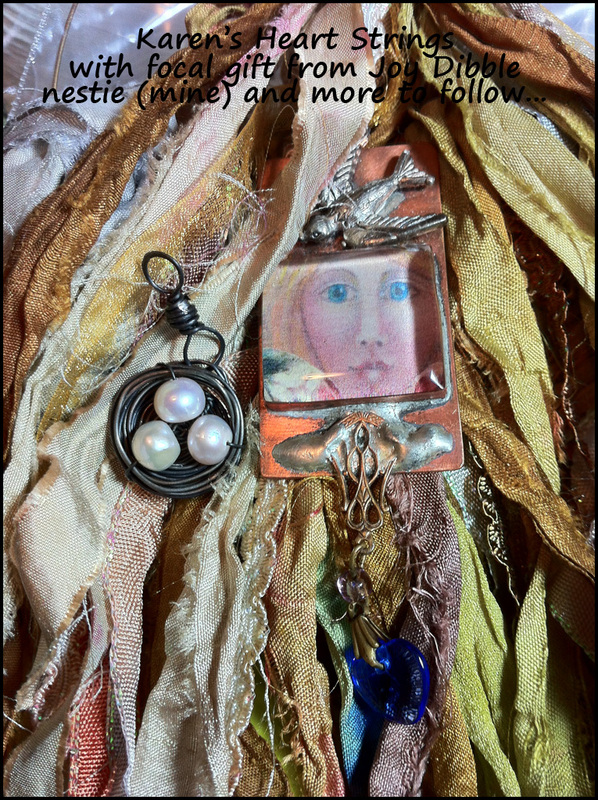 My July 4th post showcases my instructor's work (Diane Cook). The photo below will at least show you the colors I intend to use - did my "nestie" after work tonight. The lovely focal metal/resin work was given to me by Joy Dibble from Florida while we took the Towers and Turrets class online last year. In fact, she and her husband are currently traveling Alaska and I will get to meet her for tea on Wednesday. Isn't it such a small world sometimes? Love that dear little nest Karen - beautiful! It is all coming together really well! Dae looks so proud of her achievements in that group photo and why shouldn't she? Another amazing piece of artwork in the making, I'm sure! Karen -- this is going to be an incredible and beautiful creation -- I am totally in awe of this amazing project. I'm enjoying following you along on this creative journey -- when it is finished it is going to really be gorgeous! Wishing I had taken that class! It's looking lovely. And is that a new blog header I see?